Hello all!! My name is Felisha I just turned 20 TODAY!!! 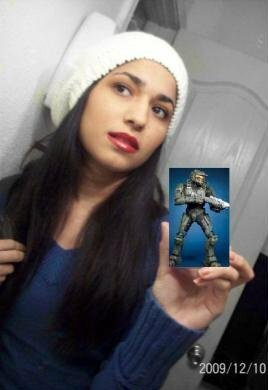 well im a FPS kinda girl im obsessed with halo, I play other games but my love and passion will ALWAYS be for halo (: I am a full time student majoring in Education. Im fun out going and super uh slow LOL well yah hit me up with a FR so we can play!! Displaying 1 - 10 of 31 comments. We're waiting to hear from a event developer that had a SF4 & UFC event at the location we're planning to host The Iowa Pro Gaming Challenge. They might get involved with running this fighting game's division and will have more insight on what title we should select. We're also trying to decide how best to weave in MW2, so that's why the full divisions have not been announced. Once full details, prize money, ect. are announced...I need you to seriously push people to travel and join us here in Des Moines, okay? I know its been almost 5 months, but thanks for the comment! Thanks for stopping by and saying hello its appreciated. How have you been and what's all new and exciting? NICE! Be sure to rock that GoG patch at the event and let's see photos around here asap. Will you post a GoG-oriented photo for me, like you did for Matrix in Dallas? Spread the word and help us push towards 5,000 members around here! ITS GREAT! Check your myspace for the full story...lmao!